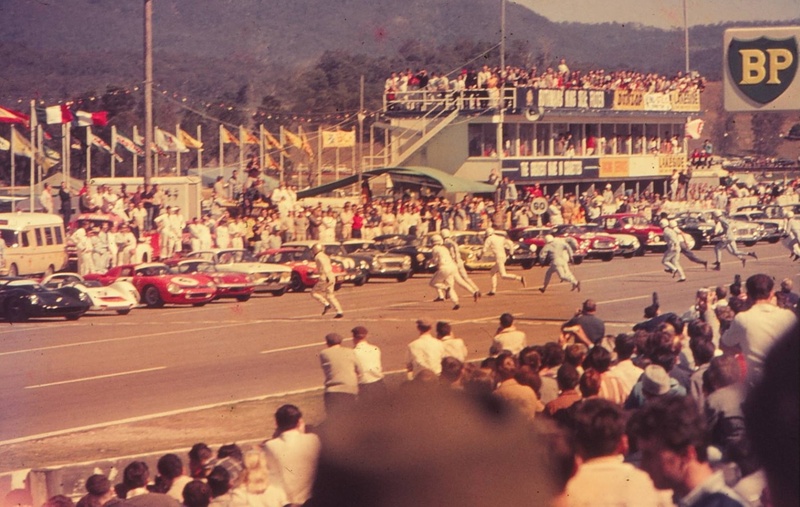 And so he should too- the Australian International had far more experience than the locals at Le Mans, run and jump, starts. What great panoramic, colourful, atmospheric photographs these are. 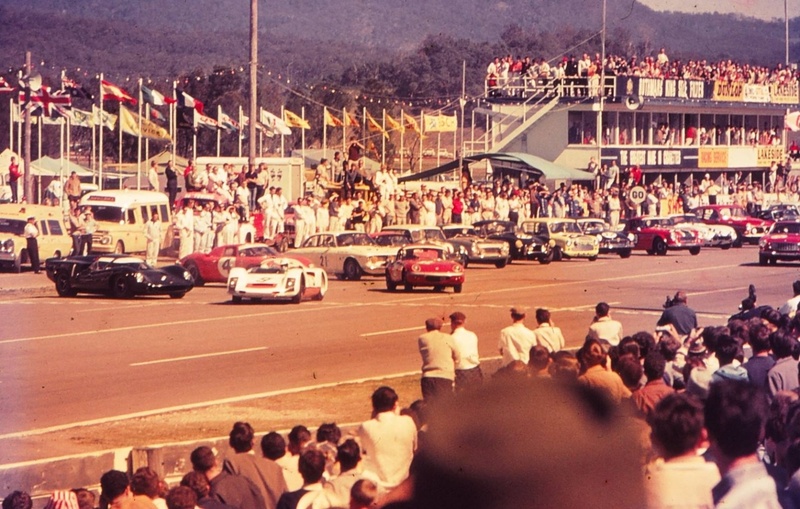 The first few cars lined up in the 3 September 1967 twelve hour enduro are the Hawkins/Jackie Epstein Lola Mk3 Chev, Alan Hamilton/Glynn Scott Porsche 906, Bill Brown/Greg Cusack Ferrari 250LM, Bill Gates/Jim Bertram Lotus Elan and then the Kevin Bartlett/Doug Chivas Alfa Romeo GTA. 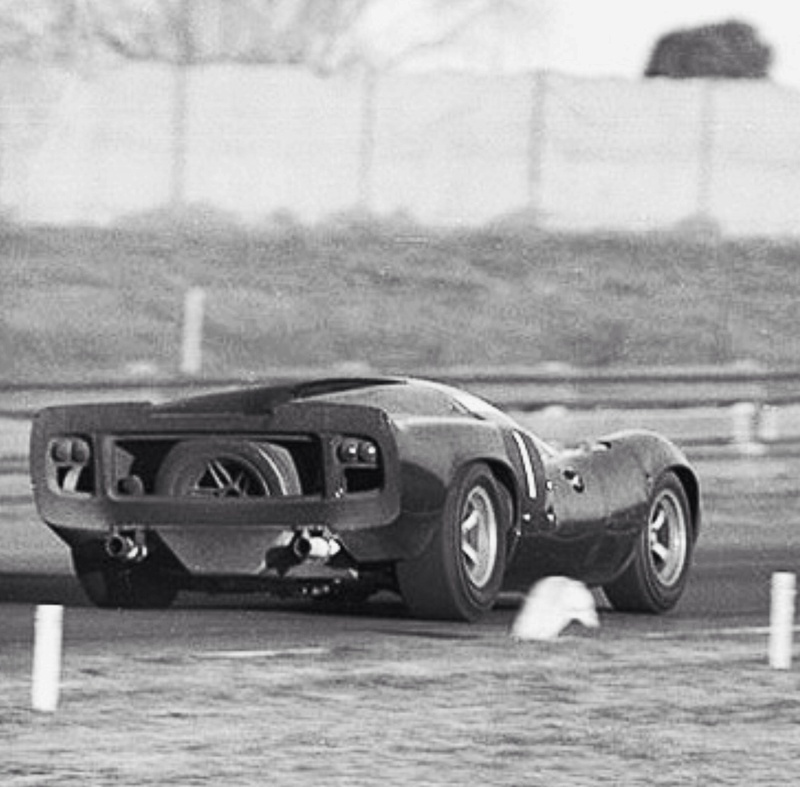 Whilst Paul was quick to the car, the task of affixing a Willans six-pointer to his body was tricky when getting his Heavy Chevy started even in the calmness of a paddock, let alone with a schrieking 2 litre Porsche flat-6 blasting past and reinforcing his tardiness. Not that the notion of outrunning the Porsche over twelve hours should have been an issue. The Gates Lotus is also fast away. 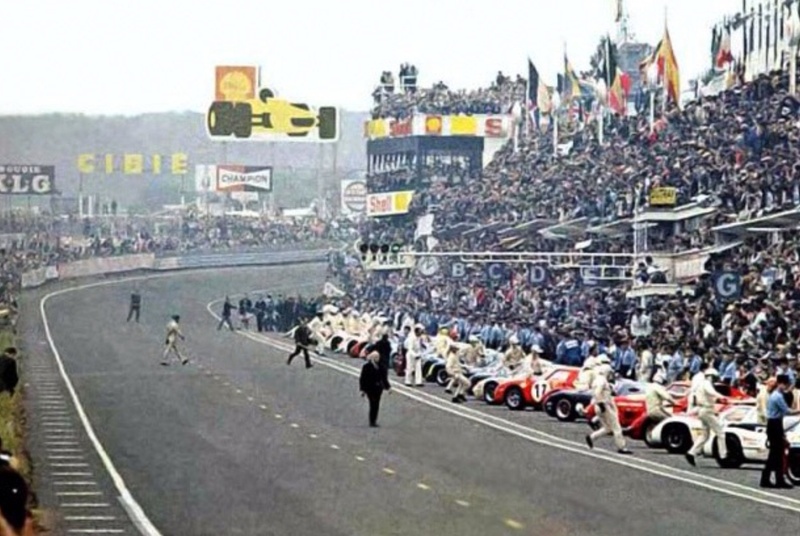 The last Le Mans 24 Hours with a running start was the 1969 event, when Jacky Ickx famously walked to his John Wyer Ford GT40 before carefully fitting his belt- and winning the race the following day with Jackie Oliver. The tragic irony of Ickx’ protest was that the ‘unbelted’ John Woolfe died in his Porsche 917 in a first lap accident. Safety and seatbelts were the end of that bit of racing spectacle, fair enough too. 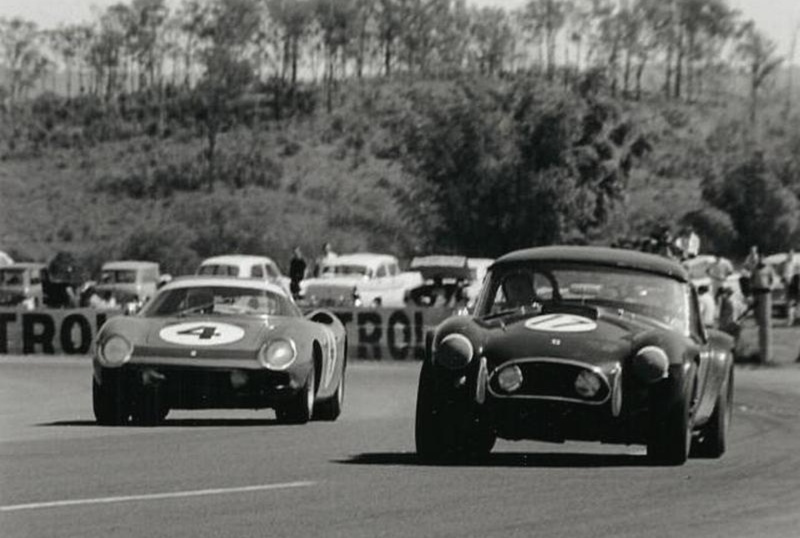 David McKay’s Scuderia Veloce 250LM was almost ‘rusted to this race’, it was never the fastest thing entered but it won in 1966- crewed by Jackie Stewart and Andy Buchanan, in 1967 with McKay’s regular team drivers of the day Bill Brown and Greg Cusack at the wheel and in 1968 piloted by the brothers Geoghegan- Leo and Pete. 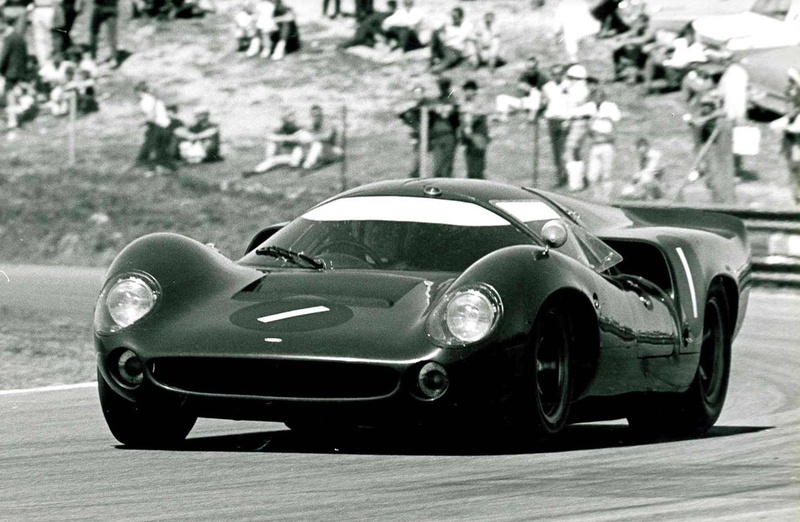 In second behind the Brown/Cusack 250LM in 1967 was the Lola with 468 laps and in third the Porsche 906 with 460- the winners covered 490 laps of reliable, fast Ferrari motoring. What a blast it would have been to drive a car in one of these Surfers events! Mistake relying on memory, mind you I used Wiki for the results, you would think I could read it! Will get the article right eventually! But I was disappointed you didn’t include this iconic photo of Jackie Stewart in the Ferrari “dicing” with the Mini Moke……. I did manage to get to Surfers once, on a family holiday convinced my dad to drop me at the 1973 Glynn Scott Memorial Trophy Gold Star round for the day- loved the place!